Wednesday, April 23, 2014, marks the beta launch of F50’s online private co-investment platform and the beginning of our 60-day match program. We will host a launch reception in Palo Alto where investors will have the opportunity to meet F50 startup founders and candidates. Fundable 50 (F50) is a private co-investment platform that identifies up to 50 of the most fundable startups who are raising $500K- $2M and matches them with appropriate investors. The season culminates with F50: Funded! Season 1 to be held on June 23 & 24, 2014, during Google IO Week, in Mountain View, California. F50 startups will pitch for a $1M investment offer. 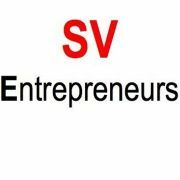 SVE and some of the F50 will join Startup Socials Thursday, May 8th at Blu Restaurant and Lounge for an evening of exclusive networking and fun. Startup Socials Mixers allow guests a chance to meet new friends and create valuable connections for their current and future startup ventures. We at HobNob are excited to welcome your meetup group to HobNob Connect — a community of professionals, engineers, tech enthusiasts and entrepreneurs from the nation’s top colleges and companies. The concept behind HobNob is really simple. It enables professionals to find and meet each other in relevant industries and locations. It is not a dating app; nor is it a pile of resumes or online profiles. It is an opt-in community of proactive mentors, friends, and professionals who believe in making new connections.So if you just moved to a new city or want to learn about a new area in technology or company or just want to expand the set of people you know, you should useHobNob! Currently, the app is available on iPhones and iPads and can be downloaded by clicking here . If you do have any feedback please write to help@hobnobapp.co. For Android fans, sign up for the beta!